The inspiration for this shoot was centered around having an intimate outdoor wedding with family and friends at a local historic chapel. 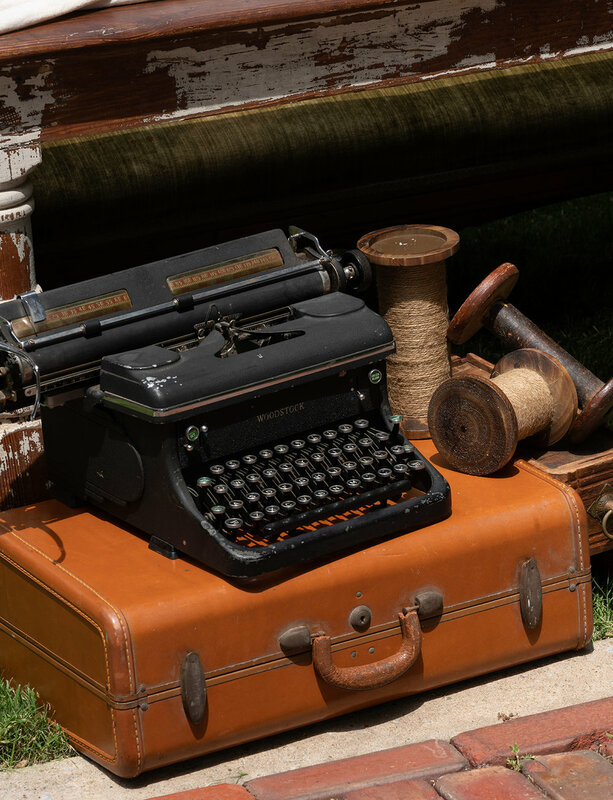 The vintage details made the outdoor garden setting at this historic landmark chic and sophisticated. 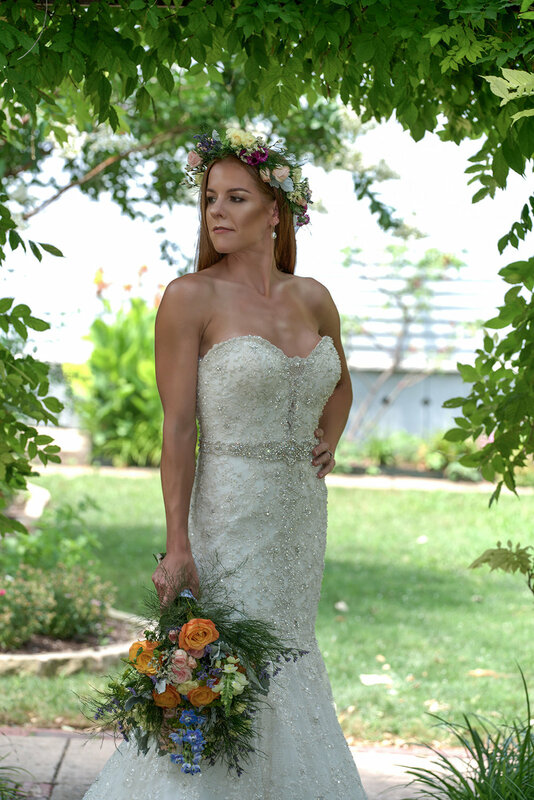 The bride’s gown was romantic with a touch of sophistication and the hair was kept soft and not overly styled with a floral crown to complete the look. Vibrant florals were the standout in this styled shoot. 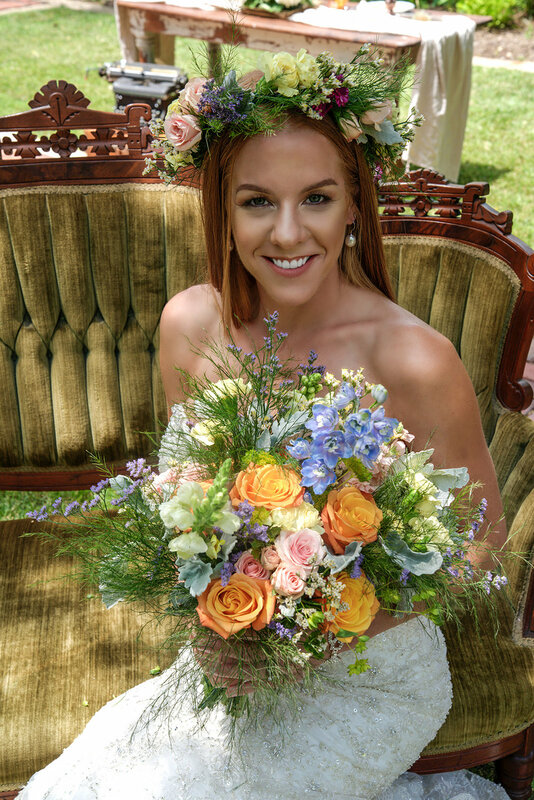 Blossoms in every color of the rainbow were combined with lush greenery to keep the look from being over the top. The antique farmhouse table and mismatched vintage china added a playful spin to the pace settings. 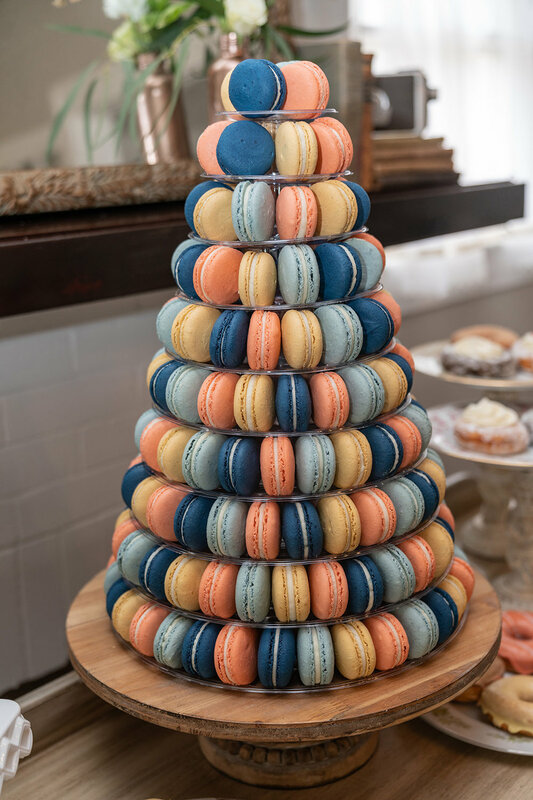 The dessert table was styled with custom donuts, macaroon tower and two tiered cake. The creative team did such an amazing job capturing the beauty from every element. I’m so proud of having this group of talented local vendors as part of this experience.